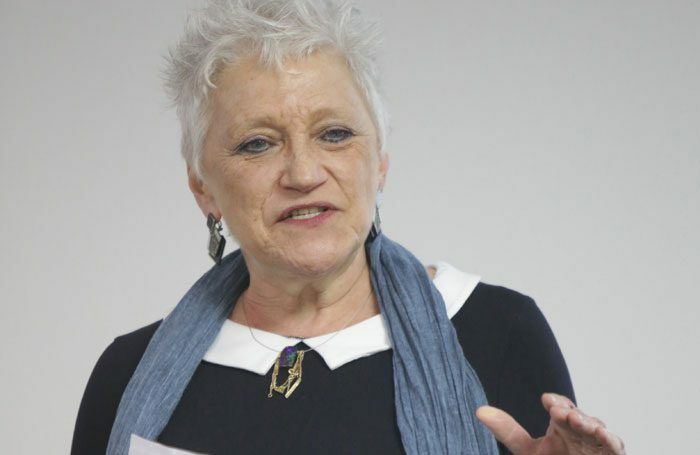 On her website, Jennie Buckman described herself as “acting coach, playwright, activator”, that last epithet pointing to her increasing engagement with political and social issues with the theatre company she founded in 2008, Standing on the Shoulders of Giants. Born in London – her father was a businessman, her mother a lawyer who published Twenty Tales from Shakespeare, with a foreword by Peggy Ashcroft, in 1963 – Buckman showed an early interest in theatre. After reading English and American literature at Kent University, she taught in London comprehensives for eight years before joining Frank Whitten’s community-accented Common Stock to create a youth company in 1979. Six years later, she succeeded Whitten as co-artistic director with Jayne Chard. Becoming increasingly interested in coaching young actors, she was invited by Doreen Cannon to become her assistant at RADA in 1986. In 2003, she took over leadership of its acting course until resigning in 2007. Wider afield, she worked at the National Theatre, with Chicago’s Lookingglass Theatre Company, and taught at other schools including Guildhall, Rose Bruford, Guildford and drama schools in Greece. Her directorial credits included Bryony Lavery’s Hot Time (1984) and Deborah Levy’s Dream Mamma (1985) with Common Stock, and David Pownall’s Nijinsky: Death of a Faun at the Linbury Studio in 2000. She began writing while at RADA, finding early success on radio where she contributed more than 60 episodes to the BBC World Service soap Westway, while 2007’s Cuba Mi Amor for BBC Radio 4 was nominated as one of the year’s best plays. Aiming to “find the epic in the everyday”, with Giants she worked collaboratively with community groups to create work that told unheard stories or exposed inequality and injustice. Pandora (Arcola Theatre, 2010) was an intimate cross-generational piece with women from Haringey, Piece of Silk (Hope Theatre, 2016) took its inspiration from the Arabian Nights to focus on forced marriage and domestic violence, and Never Going to Beat You, developed with women from the Irish traveller community in Britain, was seen at the Blue Elephant in 2016. In 2007, she co-hosted television channel E4’s short-lived School of Performing Arts with LAMDA teacher Aaron Mullen. Jennifer Margaret Amiel Buckman was born on September 24, 1949, and died on January 4, aged 69.